Label submitted to the State of Wisconsin for trademark registration. 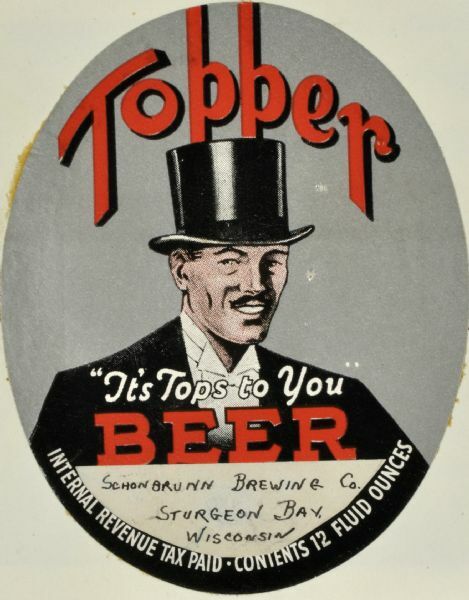 "Topper, 'It's Tops to You' Beer." Schonbrunnn Brewing Co. An oval shaped beer label featuring the image of a man wearing a tuxedo and a top hat.